As a long-time owner of a vintage 1970s Zenith Defy, it was very cool to see the name and its tonneau-shaped legacy come to new life last year in the form of some pretty awesome watches, namely the El Primero 21 Chronograph and the astonishingly advanced Defy Lab. 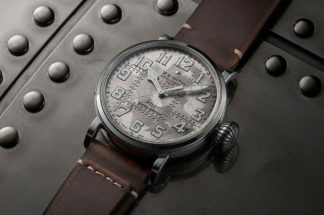 The barrel-shaped case looked just right in these new era watches and confirmed that, yes, some design ideas have more stories to tell, as long as you support them with quality and reliability, and not just with romantic stories of yore. 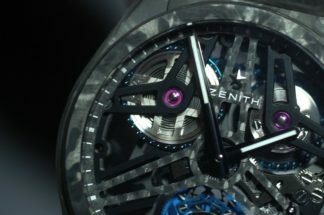 When we saw the Zenith Defy Lab last year, we were all astounded by the depth of its mechanical marvellousness. I mean, you don’t see a 15Hz watch every day. So, it could be easily assumed that it was the Defy collection’s flagship. But with a very limited run, it is difficult to keep calling the Lab a true flagship. But fear not, my fellow Zenithites, because one of the greatest horological concepts Zenith ever created has now evolved into a new movement that, de facto, makes this new Zero G the real flagship Defy. I am sure you remember the Gravity Control mechanism that was found in the limited Christophe Colomb series of watches? Well, that gyroscopic device has been paired with an El Primero, high-frequency movement. The Gravity Control serves as an imperturbable housing for the regulation device of the watch (the tourbillon). It keeps it horizontal all the time, no matter what the wearer is doing. Just like in its practical inspiration, marine chronometers, it is always at a constant and horizontal working position, so the balance wheel beats at the same stable rate. Now, you probably remember that the Zenith Colomb watches featuring the gyroscope were humongous. Fortunately, Zenith has re-engineered the system so it is now just one-third as large as it was before and fits into a 44mm case. It’s only logical to keep the watch design as open as possible, so everyone can enjoy the magic of the new El Primero 8812 S calibre at work. At the 6 o’clock position, the gyroscope holds stable the regulator, while a small-seconds is found between 9 and 10. 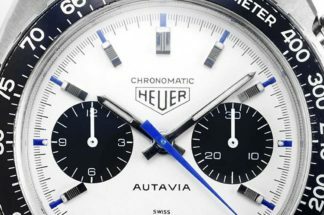 At 12, you will find an off-centre open sub-dial for hours and minutes, surrounded by a blue-coloured ring. And between the 2 and 3 o’clock positions there is an indicator that shows how much remains of the 50-hour power reserve. The Zenith Defy Zero G is available in either titanium or rose gold and on either an alligator-leather and rubber strap or a bracelet. A true looker.